The FTB-1 Platform is an open testing solution for network infrastructure construction and troubleshooting. This model has built-in intelligence empowers frontline technicians to take field testing efficiency to the next level. Thanks to a highly “connected” set of tools—including Update Manager and compatibility with the EXFO Connect environment, which provides end-to-end operational visibility and centralized reporting capabilities throughout the entire test instrument pool—the FTB-1 delivers maximum return on your investment. 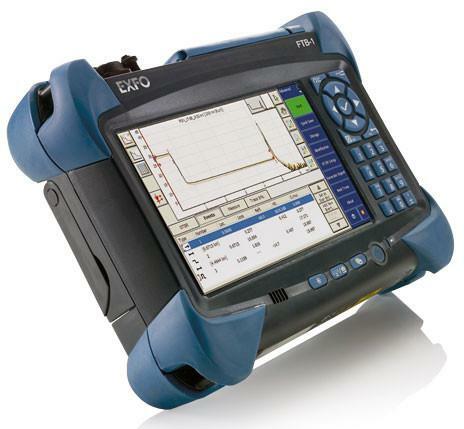 On the strength of best-in-class specifications and four test wavelengths, the FTB-720 LAN/WAN Access OTDR is optimized for fiber-optic contractors and private network operators, enabling them to fully test and qualify any type of fiber network.